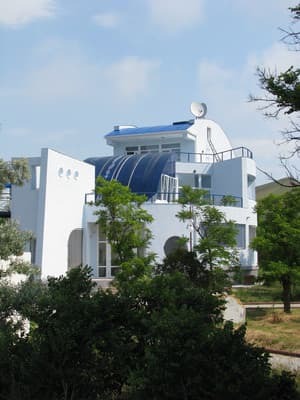 Guest house "Pilgrim" is located in the village of Ordzhonikidze, 10 meters from the sea, on the very shore of Provato Bay, on a small peninsula that is surrounded on three sides by the sea. The guest house is built in a beautiful and well-kept garden, where a pleasant atmosphere reigns. 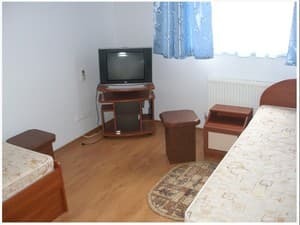 In the hotel "Pilgrim" for living provide one-room and three-room rooms with all amenities: shower, toilet, washbasin, TV, X, air conditioning, electric kettle, balcony. 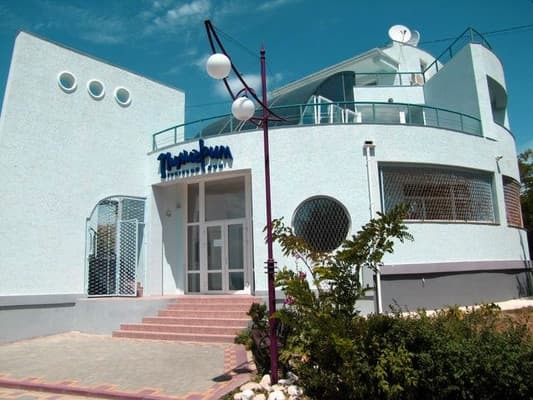 The hotel offers free Wi-Fi, round-the-clock cold and hot water, a shuttle service, a tour desk. There is a cafe on site. The surrounding area is a good place for mountain bike trips, diving, scuba diving and fishing. PRICES MAY CHANGE, YOU NEED TO RECEIVE INFORMATION FROM THE OPERATOR! 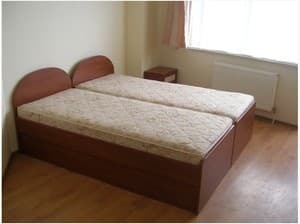 Description of the room: In the room there are two single beds or one double bed, air conditioning (not in all rooms). Description of the room: In the room: one double bed, air conditioning (not at all rooms). 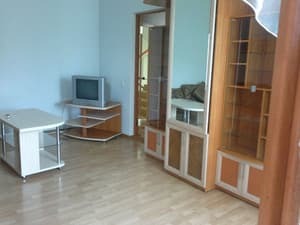 Description of the room: In the room: living room, bedroom, children's room. The cost of extra space is 100 UAH. Children under 5 years old stay free of charge. Guest house "Pilgrim" is located in the village of Ordzhonikidze, 10 meters from the sea, on the very shore of Provato Bay, on a small peninsula that is surrounded on three sides by the sea. 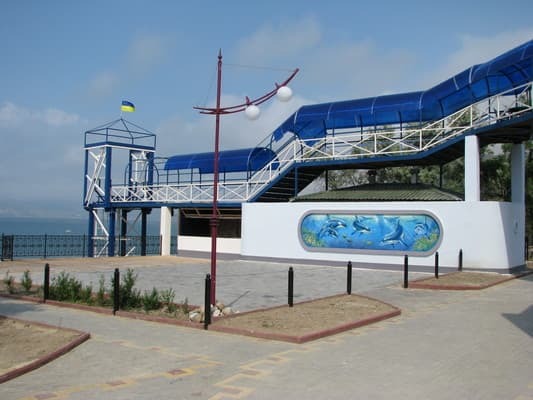 To the railway station of the city of Feodosia, then from the market by route taxi No. 20a "Feodosia - Ordzhonikidze". There is a possibility to book a transfer.